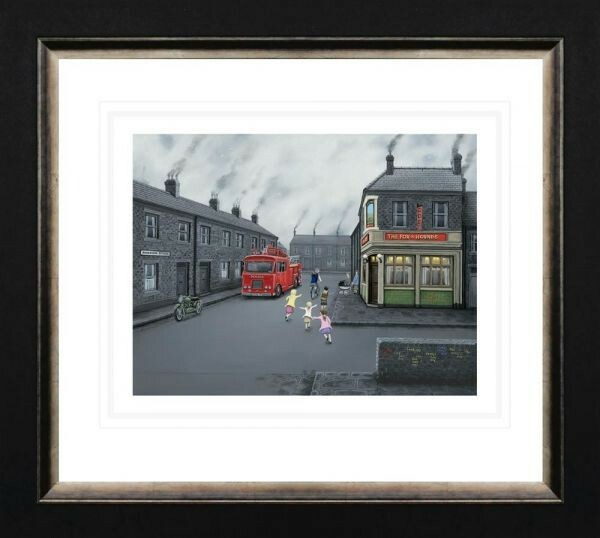 Leigh Lambert was born in Newcastle-Upon-Tyne in 1979 and lived in the North East until 1996 when he and his family relocated to Warwickshire. Leigh began to draw and paint from a very early age, in fact as soon as he could hold a pencil or paint brush. As he progressed through his school years his attention to detail in his drawings and paintings became very apparent and is subsequently one of characteristics that makes his work so distinctive. His inspiration for his early paintings came from his childhood interests, including landscapes, and in later years from his "canny knack" to capture a view, usually with a very interesting building being the focal point. You could say that Leigh is a self taught artist and has always had an amazing talent for drawing and painting as he left school with no formal art qualification. However, for a short time he studied art at Tynemouth college of Arts and Technology in the North East of England and later for a brief period at Mid Warwickshire College in Leamington Spa. Leigh is a versatile artist and can produce work in both watercolour and oil paint. He has developed a unique style of his own and consequently his artwork has been displayed in galleries and Art shows around Central & Northern England. Leigh has also undertaken works of art for private collections in various countries overseas. His originals are highly sought after and there is now waiting list for aspiring collectors. Many of his limited editions have been sold out and new editions are normally over subscribed within weeks of publication.